Apparently the finest known example is the Overton specimen at VF30. 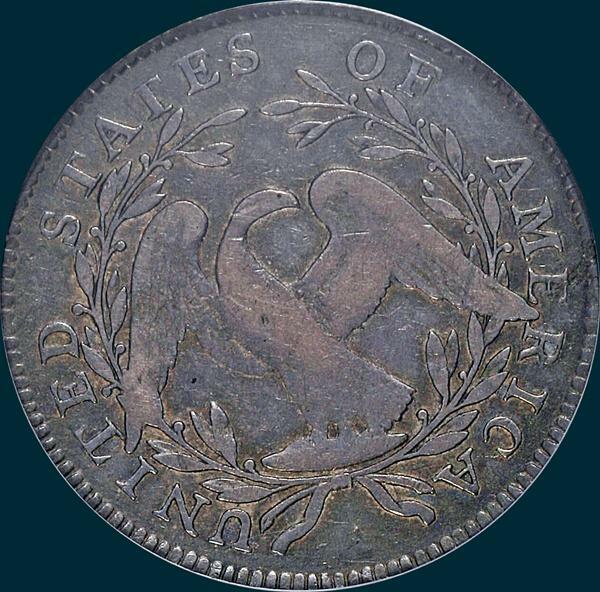 There may only be 1 or 2 other VF coins surviving, the rest being low grade. 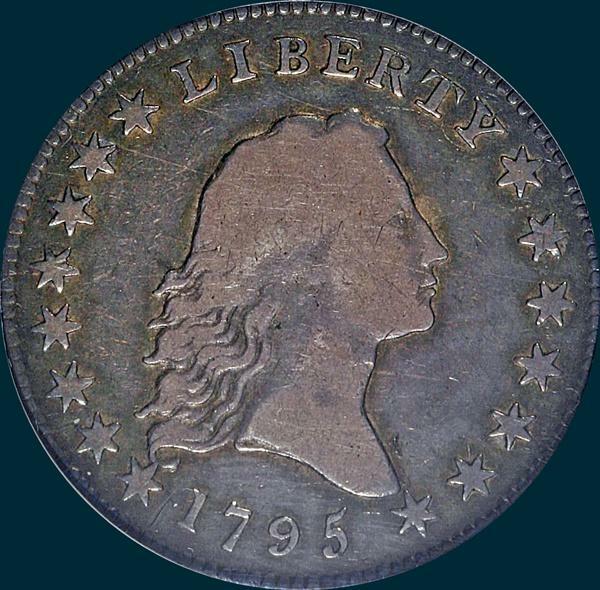 Variety Attribution : Obverse-Head and bust are small, but a shade wider at the chin and lower neck than O-126 and very similar to O-127. Star 1 has point embedded in curl near center, but it does not go through. Star 2 points directly at blunt end of second curl but is about 1 mm. distant. Star 15 is close to end of bust at upper edge. T is recut with center stand showing below base. Reverse- 18 Berries, 9 left and 9 right, 2 each wing all on inside of wreath, the only such berry combination in 1795, hence the only identification needed. Dot in field midway between milling and ribbon knot. Die crack at edge below ribbon knot extends up to R on some specimens.